Joseph Spyker was born in 1805. He was the son of Henrich Spyker and Elizabeth Kupferschmidt. George Spyker was born in 1776 at Middletown, Frederick, Maryland. Catherina Spyker was born on 20 March 1780 at Lebanon, Pennsylvania. She was the daughter of Benjamin Spyker and Catharina Lauer. Catherina Spyker died before 1783 at Lebanon, Pennsylvania. Jonathan Spyker married Magdalena (?). Jonathan Spyker was born on 20 March 1780 at Stouchberg, Berks, Pennsylvania. Magdalena (?) married Jonathan Spyker, son of Benjamin Spyker and Catharina Lauer. Magdalena (?) was born circa 1780. Anamaria Spyker was born in 1798 at Thurmont, Frederick, Maryland. She was the daughter of Jonathan Spyker and Magdalena (?). Benignna Spyker was born in 1799 at Thurmont, Frederick, Maryland. Benjamin Spyker was born in 1803 at Thurmont, Frederick, Maryland. He was the son of Jonathan Spyker and Magdalena (?). David Spyker was born in 1806 at Thurmont, Frederick, Maryland. Catharina Spyker was born on 12 January 1784 at Lebanon, Pennsylvania. Andrew Clingenpeel was born on 8 August 1826 at Ohio. He was the son of George Clingenpeel and Elizabeth Himelick. Andrew Clingenpeel married Mildred Ann Gentry before 1850. Andrew Clingenpeel died in 1900. [S246] U.S. Federal Census 1880 U.S. Federal Census, by Ancestry.com, NA Film Number T9-0392 Page Number 394A. Married Name before 1850 As of before 1850,her married name was Clingenpeel. Mildred Ann Gentry was born in 1828 at Virginia. She married Andrew Clingenpeel, son of George Clingenpeel and Elizabeth Himelick, before 1850. Name Variation Henry Elroy Clingenpeel was also known as H. Elroy. Name Variation Henry Elroy Clingenpeel was also known as Elroy. Name Variation Henry Elroy Clingenpeel was also known as H. E.
Henry Elroy Clingenpeel was born in May 1882 at Illinois. He was the son of John F. Clingenpeel and Martha R. Spyker. Henry Elroy Clingenpeel married Stella Grace Stanley, daughter of Robert C. Stanley and Ann Maria Cornelius, on 3 May 1911 at Minneapolis, Ottawa, Kansas. Henry Elroy Clingenpeel died on 5 October 1950 at age 68. 1925 Chapman, Dickinson, Kansas He appeared on the census of 1925 at Chapman, Dickinson, Kansas. [S243] U.S. Federal Census 1920 U.S. Federal Census, by Ancestry.com, Year: 1920;Census Place: Stanton, Ottawa, Kansas; Roll: T625_543; Page: 16B; Enumeration District: 98; Image: 1105. [S250] U.S. Federal Census 1930 U.S. Federal Census, by Ancestry.com, Year: 1930; Census Place: Chapman, Dickinson, Kansas; Roll: 700; Page: 5A; Enumeration District: 32; Image: 509.0. Charles Thomas Clingenpeel was born in May 1860 at Sardenia, Decatur, Indiana. He was the son of Andrew Clingenpeel and Mildred Ann Gentry. Charles Thomas Clingenpeel married Nora Augustus Bise after 1880. Married Name after 1880 As of after 1880,her married name was Clingenpeel. Nora Augustus Bise married Charles Thomas Clingenpeel, son of Andrew Clingenpeel and Mildred Ann Gentry, after 1880. Amanda Clingenpeel was born in 1853 at Indiana. She was the daughter of Andrew Clingenpeel and Mildred Ann Gentry. Amanda Clingenpeel died after 1860 at died as a child. Name Variation William Elmer Clingenpeel was also known as W. E.
William Elmer Clingenpeel married Luella Harriet Miller. William Elmer Clingenpeel was born in June 1856 at Sardenia, Decatur, Indiana, also reported as 1855. William Elmer Clingenpeel died in 1929. [S246] U.S. Federal Census 1880 U.S. Federal Census, by Ancestry.com, NA Film Number T9-0234 Page Number 32C. Name Variation Lorenzo Dow Clingenpeel was also known as L. D.
Lorenzo Dow Clingenpeel was born on 6 March 1858 at Decatur, Indiana. Lorenzo Dow Clingenpeel married Mary Florence Allen on 26 February 1882 at Kinmundy, Marion, Illinois. Lorenzo Dow Clingenpeel married Martha A. Lynch on 29 October 1921. Lorenzo Dow Clingenpeel died on 24 October 1943 at age 85 L.D. Clingenpeel, one of Delphos' business men for years, passed away Sunday morning after an illness of several years. He was in the shoe repair business here for more than 20 years, retiring in 1937 when his health forced him to give up active work. For the past four years, Mr. Clingenpeel has been failing in health and was patiently cared for by Mrs. Clingenpeel until the end. Had he lived until Saturday of this week, Mr. and Mrs. Clingenpeel would have observed their 22nd wedding anniversary. Funeral services were held at the Methodist Church Tuesday afternoon, October 26, the Rev. H.G. Feldmann officiating. Music was furnished by a mixed quartet composed of Mrs. Ethel Thurston, Mrs. Maude Warren, B.S. Chance and H.D. Hoskins, accompanied at the piano by Alva S. Adams. Pallbearers were B.M. Parks, Rupert Smith, Ernest Lynch, Ervin Teasley, Claude Childs, Irl Hogg, H.S. Rise and B.E. Ferris. Interment was made in the Delphos Cemetery, the Hartley service in charge. Lorenzo Dow Clingenpeel, son of Andrew and Mildred Ann Clingenpeel, was born March 6, 1858, near Westport, Decatur Co., Indiana, and departed this life on October 24, 1943, at his home in Delphos, Kansas, at the age of 85 years, seven months and 18 days. He was united in marriage to Mary Florence Allen at Kinmundy, Ill., on February 26, 1882. To this union two children were born, a son and a daughter. His wife preceded him in death on November 25th, 1907. He was married to Martha A. Lynch on October 29, 1921. He was converted at a revival meeting held at Union Campground, and later united with the Pleasant Grove Methodist Episcopal Church near Kinmundy, Ill. He was received into the fellowship of the Methodist Church of Delphos, Kansas, by letter of transfer on February 5, 1893, and remained an active member, always doing what he could for the advancement of God's Kingdom. Surely earth's loss in Heaven's gain. He leaves to mourn his passing his beloved wife, Martha A. Clingenpeel, who was ever a faithful companion, two children, Clarence Clingenpeel of Fayette, Mo., and Gertrude Clingenpeel of Kansas City, Mo., five grandchildren; three nephews, H. Elroy Clingenpeel of Chapman, Kansas and DeWitt and Hayward Clingenpeel of Los Angeles, Cal., and ahost of other relatives and friends. Delphos Republican October 28, 1943. [S245] U.S. Federal Census 1900 U.S. Federal Census, by Ancestry.com, ED9. Dwelling 236. Name Variation William R. Kiefer was also known as Kifer. Name Variation William R. Kiefer was also known as Kieffer. William R. Kiefer was born in 1836 at Ohio. He was the son of George Philip Keifer and Eva Marcia Roedel. William R. Kiefer married Isabel C. Hays, daughter of Calvin W. Hays and Adeline Olmstead, on 21 January 1860. William R. Kiefer died in 1863. He was buried in 1863 at Spring Green Cemetery, Spring Green, Sauk, Wisconsin, 28y 4m 7d; tombstone listed as Kifer. Between 1851 and 1854 at Migration and Early Residents of, White Mound, Sauk, Wisconsin, Arrived the following, all from either Bloomfield or Troy Twp., Richland Co., Ohio: ... George and Abram Nickey, Joseph Seiders, Simon Spyken (Spyker), Jacob and William Keifer. 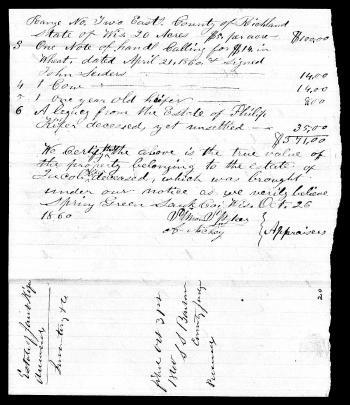 On 15 March 1855 at Sauk, Wisconsin, received probate from Elizabeth Bear - signed William Kifer. In June 1863 at Civil War Draft Registration, Richland, Wisconsin. [S248] U.S. Federal Census 1860 U.S. Federal Census, by Ancestry.com, Page 125. Dwelling 951-932. Name Variation Isabel C. Hays was also known as Isabella. Name Variation Isabel C. Hays was also known as Isabell. Married Name 21 January 1860 As of 21 January 1860,her married name was Kifer. Married Name 21 January 1860 As of 21 January 1860,her married name was Kiefer. Married Name 21 January 1860 As of 21 January 1860,her married name was Keifer. Isabel C. Hays was born on 21 March 1835 at Greene, New York. She was the daughter of Calvin W. Hays and Adeline Olmstead. Isabel C. Hays married William R. Kiefer, son of George Philip Keifer and Eva Marcia Roedel, on 21 January 1860. Isabel C. Hays was buried in September 1921 at Spring Green Cemetery, Spring Green, Sauk, Wisconsin. 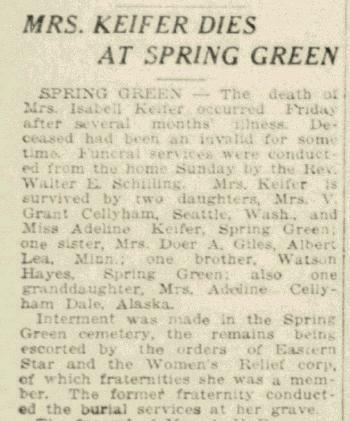 She died in September 1921 at age 86 Isabell (Hays) Keifer obituary. Isabel C. Hays had 3 with 2 living in 1900 children. She had 3 with 2 living in 1910 children. [S249] U.S. Federal Census 1850 U.S. Federal Census, by Ancestry.com, Stamp 91. Dwelling 52. [S247] U.S. Federal Census 1870 U.S. Federal Census, by Ancestry.com, Page 3. Dwelling 20. [S245] U.S. Federal Census 1900 U.S. Federal Census, by Ancestry.com, ED145. Dwelling 54-55. [S364] Wisconsin State Census Wisconsin State Censuses, 1895 and 1905, by Ancestry.com, Dwelling 21. 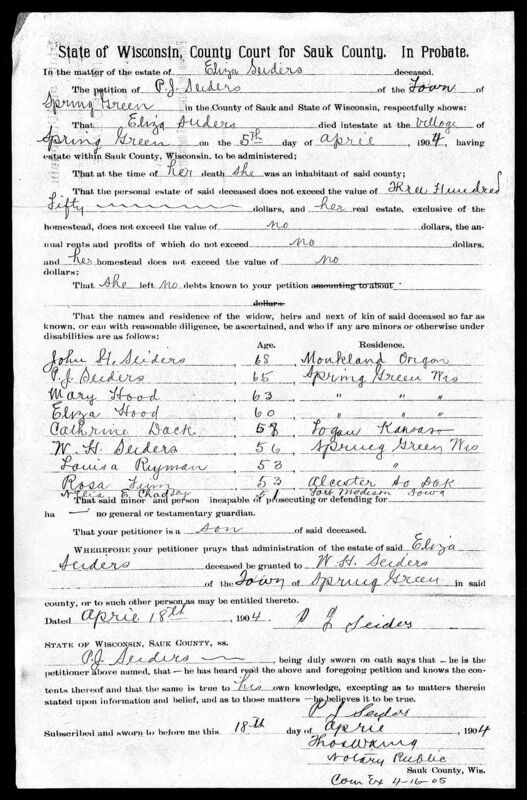 [S244] U.S. Federal Census 1910 U.S. Federal Census, by Ancestry.com, Year: 1910; Census Place: Spring Green, Sauk, Wisconsin; Roll: T624_1737; Page: 13B; Enumeration District: 126; Image: 55. [S243] U.S. Federal Census 1920 U.S. Federal Census, by Ancestry.com, Year: 1920;Census Place: Spring Green, Sauk, Wisconsin; Roll T625_2015; Page: 13A; Enumeration District: 178; Image: 472. Name Variation Jacob Kiefer was also known as Kifer. Jacob Kiefer married Amelia (?). Jacob Kiefer was born in 1823 at Pennsylvania also reported as 1832. 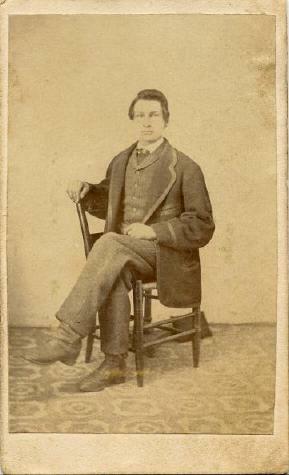 Jacob Kiefer died on 11 June 1860 at Wisconsin. 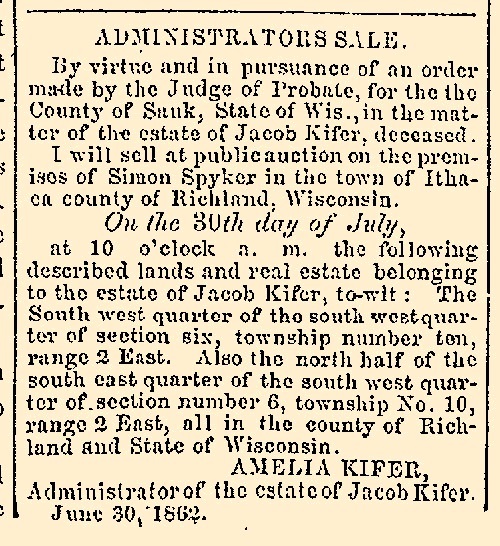 His estate was probated on 26 October 1860 at Sauk, Wisconsin, Probate of Jacob Kifer (Kiefer) - appraised by Simon Spyker, Abraham Nickey. He was buried after 26 October 1860 at Spring Green Cemetery, Spring Green, Sauk, Wisconsin, 37y. Between 1851 and 1854 at Migration and Early Residents of, White Mound, Sauk, Wisconsin, Arrived the following, all from either Bloomfield or Troy Twp., Richland Co., Ohio: ... George and Abram Nickey, Joseph Seiders, Simon Spyken (Spyker), Jacob and William Keifer. 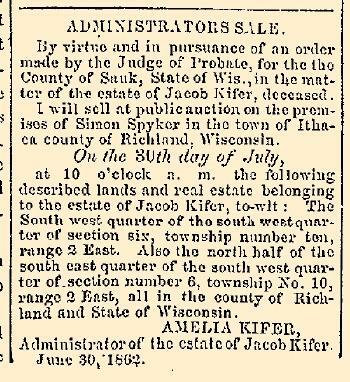 On 30 July 1862 at Spring Green, Sauk, Wisconsin, Amelia Kifer's administrators sale for property of Jacob Kiefer (deceased) at Simon Spyker farm. Married Name before 1843 As of before 1843,her married name was Keifer. Married Name before 1843 As of before 1843,her married name was Kiefer. Mary Magdalene Sower was born on 19 January 1819 at Mercer, Pennsylvania. She was the daughter of Henry Sower and Mary A. C. Miller. Mary Magdalene Sower married George Keifer, son of George Philip Keifer and Eva Marcia Roedel, before 1843. Mary Magdalene Sower died on 22 December 1908 at Noble, Indiana, at age 89 Mary (Sower) Keifer death notice. She was buried after 22 December 1908 at Orange Cemetery, Rome City, Noble, Indiana. In August 1894 at Orange, Noble, Indiana, 80 acre real estate transferfrom George Keifer and wife to daughter Lucy A (Keifer) Rawson, worth $2,000. Mary Magdalene Sower had 3 with 2 living in 1900 children. [S249] U.S. Federal Census 1850 U.S. Federal Census, by Ancestry.com, Sheet 871. Stamp 434. Dwelling 1179. [S248] U.S. Federal Census 1860 U.S. Federal Census, by Ancestry.com, Page 120. Dwelling 874. [S247] U.S. Federal Census 1870 U.S. Federal Census, by Ancestry.com, Page 28. Dwelling 219. [S246] U.S. Federal Census 1880 U.S. Federal Census, by Ancestry.com, ED650. Dwelling 10. [S245] U.S. Federal Census 1900 U.S. Federal Census, by Ancestry.com, Year: 1900; Census Place: Orange, Noble, Indiana; Roll: T623_395; Page: 20B; Enumeration District: 88. Name Variation George Keifer was also known as Kiefer. Name Variation George Keifer was also known as Kifer. George Keifer was born on 24 May 1815 at Germany. George Keifer married Mary Magdalene Sower, daughter of Henry Sower and Mary A. C. Miller, before 1843. George Keifer died on 18 November 1898 at age 83 George Kiefer (Keifer) obituary. He was buried after 18 November 1898 at Orange Cemetery, Rome City, Noble, Indiana. First - After all my lawful debts are paid and discharged the residue of my estate and personal I give, bequeath, and dispose of as follows, to wit: To my children and Francis Stol now living or their heirs it shall be divided equally between them share and share alike. My son George has received twenty eighter dollars on his share. My daughter Liza has received twenty eight dollars on her share, that shall be ducted of their share. Likewise I make constitute and appoint Jacob L. Klinefelter to be executor of my last Will and Testament hereby revoking all former wills by me made. In witness where of I have hereunto subscribed my name and affixed my seal the 9th day of October in the year of our Lord one thousand eight hundred and fifty eight. (Signed) Philip Keifer (seal) Witness - Peter Rummell, William Windbigler. In August 1894 at Orange, Noble, Indiana, 80 acre real estate transferfrom George Keifer and wife to daughter Lucy A (Keifer) Rawson, worth $2,000. Name Variation Catherine Elizabeth Kiefer was also known as Catherine Eliza. Name Variation Catherine Elizabeth Kiefer was also known as Eliza. Name Variation Catherine Elizabeth Kiefer was also known as Elizabeth. Married Name 1833 As of 1833,her married name was Seiders. Married Name 1833 As of 1833,her married name was Siders. Catherine Elizabeth Kiefer was born on 16 June 1813 at Baden-Württemberg, Germany. Catherine Elizabeth Kiefer married Joseph Seiders, son of Johannes Jacob Seiders and Margaretha Krick, in 1833 at Lebanon, Pennsylvania. Catherine Elizabeth Kiefer died on 5 April 1904 at Spring Green, Sauk, Wisconsin, at age 90. 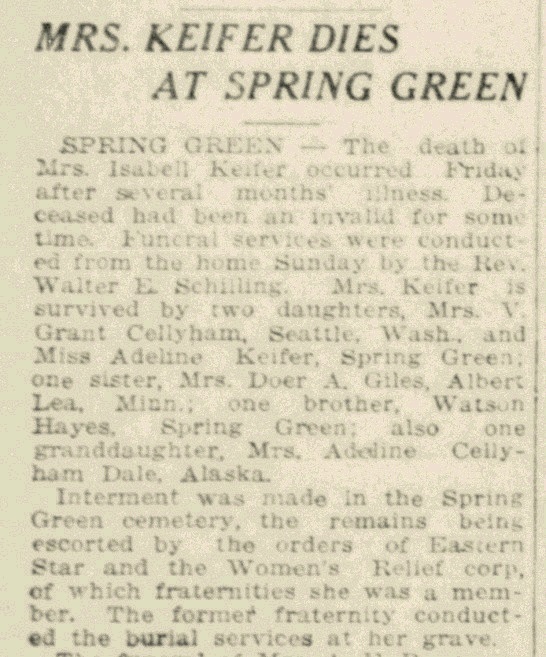 She was buried after 5 April 1904 at Spring Green Cemetery, Spring Green, Sauk, Wisconsin. Her estate was probated on 18 April 1904 at Sauk, Wisconsin. First - After all my lawful debts are paid and discharged the residue of my estate and personal I give, bequeath, and dispose of as follows, to wit: To my children and Francis Stol now living or their heirs it shall be divided equally between them share and share alike. My son George has received twenty eighter dollars on his share. My daughter Liza has received twenty eight dollars on her share, that shall be ducted of their share. Likewise I make constitute and appoint Jacob L. Klinefelter to be executor of my last Will and Testament hereby revoking all former wills by me made. In witness where of I have hereunto subscribed my name and affixed my seal the 9th day of October in the year of our Lord one thousand eight hundred and fifty eight. (Signed) Philip Keifer (seal) Witness - Peter Rummell, William Windbigler. She had 11 with 2 living in 1900 children. [S249] U.S. Federal Census 1850 U.S. Federal Census, by Ancestry.com, Stamp 414. Dwelling 904. [S248] U.S. Federal Census 1860 U.S. Federal Census, by Ancestry.com, Page 126. Dwelling 956. [S247] U.S. Federal Census 1870 U.S. Federal Census, by Ancestry.com, Page 11. Dwelling 72. Name Variation Joseph Seiders was also known as Siders. Joseph Seiders was born on 4 July 1810 at Reading, Berks, Pennsylvania. Joseph Seiders married Catherine Elizabeth Kiefer, daughter of George Philip Keifer and Eva Marcia Roedel, in 1833 at Lebanon, Pennsylvania. Joseph Seiders died on 9 March 1889 at Spring Green, Sauk, Wisconsin, at age 78 age 78y 8m 5d. John Henry Seiders was born in July 1833 at Richland, Ohio, also reported as Pennsylvania. He was the son of Joseph Seiders and Catherine Elizabeth Kiefer. John Henry Seiders married Mary M. Griffiths circa 1862. 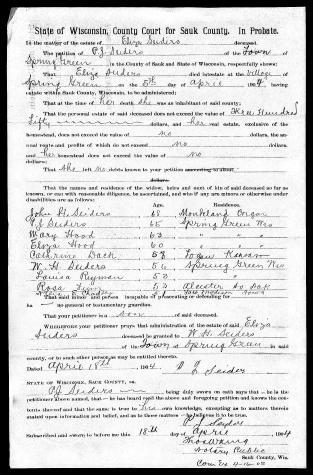 John Henry Seiders was listed as a beneficiary in Catherine Elizabeth Kiefer's will on 18 April 1904 at Sauk, Wisconsin. John Henry Seiders died on 28 March 1908 at Canby, Clackamas, Oregon, at age 74. He was buried after 28 March 1908 at Zion Memorial Park, Canby, Clackamas, Oregon. John Henry Seiders lived in 1904 at Monkland, Oregon. [S247] U.S. Federal Census 1870 U.S. Federal Census, by Ancestry.com, Page 13-14. Dwelling 94. [S245] U.S. Federal Census 1900 U.S. Federal Census, by Ancestry.com, Year: 1900; Census Place: Monkland, Sherman, Oregon; Roll: 1351; Page: 9B; Enumeration District: 0036; FHL microfilm: 1241351. 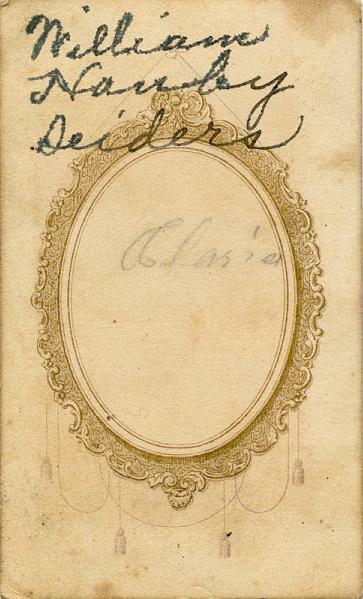 Name Variation Catharine A. Seiders was also known as Cassie. Name Variation Catharine A. Seiders was also known as Cassaline. Married Name circa 1873 As of circa 1873,her married name was Dack. Married Name circa 1873 As of circa 1873,her married name was Deck. Catharine A. Seiders was born in February 1843 at Richland, Ohio. She was the daughter of Joseph Seiders and Catherine Elizabeth Kiefer. Catharine A. Seiders married Charles David Dack circa 1873. Catharine A. Seiders was listed as a beneficiary in Catherine Elizabeth Kiefer's will on 18 April 1904 at Sauk, Wisconsin. Catharine A. Seiders was buried in 1925 at Pleasant View Cemetery, Logan, Phillips, Kansas. Catharine A. Seiders had 6 with 5 living in 1900 children. She lived in 1904 at Logan, Phillips, Kansas. Name Variation William Hamby Seiders was also known as W. H.
William Hamby Seiders was born in January 1848 at Richland, Ohio. William Hamby Seiders married Susan Dillon on 4 March 1876 at Iowa, Wisconsin. William Hamby Seiders was listed as a beneficiary in Catherine Elizabeth Kiefer's will on 18 April 1904 at Sauk, Wisconsin. William Hamby Seiders died in 1920. 1 June 1905 Spring Green, Sauk, Wisconsin He appeared on the census of 1 June 1905 at Spring Green, Sauk, Wisconsin. Name Variation Rosina Seiders was also known as Rosanna. Name Variation Rosina Seiders was also known as Rosa. Married Name circa 1867 As of circa 1867,her married name was Finn. Rosina Seiders was born in June 1853 at Ohio. Rosina Seiders married Charles Warren Finn circa 1867. Rosina Seiders was listed as a beneficiary in Catherine Elizabeth Kiefer's will on 18 April 1904 at Sauk, Wisconsin. Rosina Seiders died in 1931 at South Dakota. She was buried in 1931 at Pleasant Hill Cemetery, Alcester, Union, South Dakota. Rosina Seiders had 5 with 4 living in 1900 children. She lived in 1904 at Alcester, South Dakota. She had 5 with 4 living in 1910 children. [S246] U.S. Federal Census 1880 U.S. Federal Census, by Ancestry.com, Year: 1880; Census Place: Virginia, Union, Dakota Territory; Roll: 115; Family History Film: 1254115; Page: 428D; Enumeration District: 008; Image: 0058. [S245] U.S. Federal Census 1900 U.S. Federal Census, by Ancestry.com, Year: 1900; Census Place: Alcester, Union, South Dakota; Roll: 1555; Page: 3A; Enumeration District: 0331; FHL microfilm: 1241555. [S244] U.S. Federal Census 1910 U.S. Federal Census, by Ancestry.com, Year: 1910; Census Place: Alcester, Union, South Dakota; Roll: T624_1489; Page: 7B; Enumeration District: 0421; FHL microfilm: 1375502. [S243] U.S. Federal Census 1920 U.S. Federal Census, by Ancestry.com, Year: 1920; Census Place: Alcester, Union, South Dakota; Roll: T625_1724; Page: 11B; Enumeration District: 242; Image: 349. [S250] U.S. Federal Census 1930 U.S. Federal Census, by Ancestry.com, Year: 1930; Census Place: Alcester, Union, South Dakota; Roll: 2232; Page: 6B; Enumeration District: 0002; Image: 25.0; FHL microfilm: 2341966. Name Variation Louisa L. Seiders was also known as Louise. Married Name 18 September 1870 As of 18 September 1870,her married name was Reyman. Married Name 18 September 1870 As of 18 September 1870,her married name was Reymann. Louisa L. Seiders was born in June 1851 at Ohio. Louisa L. Seiders married Joseph W. Reyman on 18 September 1870 at Ithaca, Richland, Wisconsin. Louisa L. Seiders was listed as a beneficiary in Catherine Elizabeth Kiefer's will on 18 April 1904 at Sauk, Wisconsin. Louisa L. Seiders was listed as a beneficiary in Joseph W. Reyman's will on 10 May 1909 at Sauk, Wisconsin. Louisa L. Seiders died after 1930. 1 June 1905 Spring Green, Sauk, Wisconsin Louisa L. Seiders appeared on the census of 1 June 1905 in the household of Joseph W. Reyman at Spring Green, Sauk, Wisconsin. Louisa L. Seiders had 5 with 4 living in 1900 children. She lived in 1904 at Spring Green, Sauk, Wisconsin. She had 4 with 4 living in 1910 children. [S246] U.S. Federal Census 1880 U.S. Federal Census, by Ancestry.com, Year: 1880; Census Place: Spring Green, Sauk, Wisconsin; Roll: 1446; Family History Film: 1255446; Page: 231A; Enumeration District: 261. [S244] U.S. Federal Census 1910 U.S. Federal Census, by Ancestry.com, Year: 1910; Census Place: Spring Green, Sauk, Wisconsin; Roll: T624_1737; Page: 2A; Enumeration District: 0126; FHL microfilm: 1375750. [S243] U.S. Federal Census 1920 U.S. Federal Census, by Ancestry.com, Year: 1920; Census Place: Spring Green, Sauk, Wisconsin; Roll: T625_2015; Page: 2B; Enumeration District: 178; Image: 451. [S250] U.S. Federal Census 1930 U.S. Federal Census, by Ancestry.com, Year: 1930; Census Place: Spring Green, Sauk, Wisconsin; Roll: 2609; Page: 6A; Enumeration District: 0035; Image: 452.0; FHL microfilm: 2342343.